A Junior Fishing Competition is due to be held during the Arts Festival & Boyle Music Fest Period. 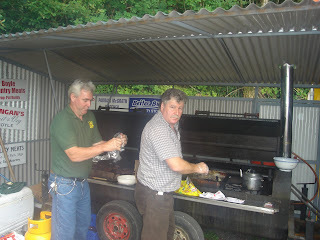 The Martin Mitchell Perpetual Memorial Cup will be fished for on Sunday 24th, August on Lough Key. This is an open Pike Competition. All Proceeds will go to the Roscommon/Mayo Hospice. Watch this Space for further information with regard to these events. A meeting of the Club will be held next Wednesday, 30th of July at 10 pm in Tawnytaskin School. 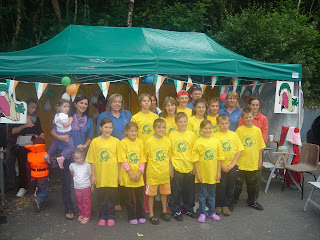 Visit of the Children of Chernobyl - A big Thank you! On Sunday last, July the 13th, our club had the pleasure to be involved in hosting a fun day out for the group of children from Chernobyl at the Doon Shore at our beautiful Lough Key. 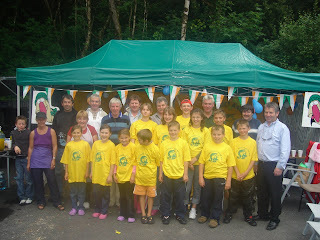 The group of children where staying in the Boyle area at the time, on a holiday organised by the "Friends of the Children of Chernobyl" Committee. 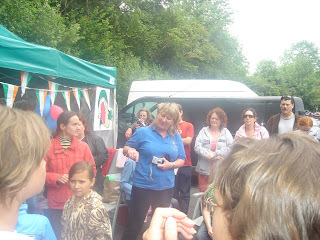 Activities on the day included Fun and Games, a Barbecue, gift bags and boat rides for all the kids on Lough Key. Friends from the Boyle River Boat Club were kind enough to join forces with our own Club and brought down a few of their Cruisers to bring some of the youngsters out on, along with our own Patrol boat. The generous business people of Boyle for their continuous support of the club and sponsorship. The Boyle River Boat Club for their help and assistance. Last but not least, A big Thank You goes to all our own Club members who worked tireless on the day and in the week or so leading up to the event in order to make things happen! This Thank you wish is particularly being extended by our own chairman who couldn't be there on the day, but is grateful to all those for putting all the work and effort into the day. Well Done!!! The Martin Mitchell Memorial Perpetual Cup will be fished for on Sunday August 24th. on Lough Key. Fishing times: 2pm to 8pm. This is an open Pike angling competition, All anglers are welcome! Hope to see you there, as this is for a good cause!